YBILAC - Your Body Is Like A Car — If you could have ONLY one car that had to last your entire lifetime (because you could not get another car, ever again) how would you take care of it? Answer: You would maintain it very well! Rhetorical Question: If you don’t take care of your body, who will? If you don’t take care of yourself, the only ones who will are those who profit from your poor health, suffering and/or demise. Click here to learn how others plan to care for you. It is sad when a car “dies” before its time (or loses its oomph) through neglect of routine maintenance. Fortunately, with a car, you can just pay money to have new parts put in, or pay money to buy another car. The human body can die before its time, too, or lose its quality of life because of lack of routine maintenance. BUT, unlike with your car, you cannot easily repair poor health, nor can you buy a new physical body. Therefore, wise people attend to ongoing, self-maintenance as a very high priority. The top priority thing to maintain in a car are the tires. The most important issue about safely driving a car is where the rubber meets the road, i.e. tires. A tire blowout while traveling at high speed is catastrophic. — The equivalent of tires in the human body is the cardiovascular system. Where the rubber meets the road in a human body is the cardiovascular system. The human equivalent of a tire blowout is a heart attack or stroke. Therefore, the first order of human health business is to ensure that your cardiovascular system doesn’t have a blowout. 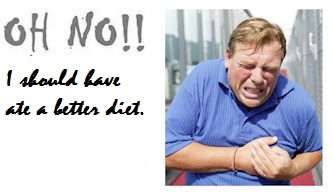 If you have a heart attack or stroke, it simply won’t matter what else you have done for your health. Here’s how to avoid a cardiovascular blowout. An absolutely essential part of a car to maintain is the engine. To keep a car engine from being damaged during the process of powering the car, it is important to maintain the engine cooling system and engine lubrication in good working order, and to keep the engine clean by maintaining clean gas and air filters, and to supply it with correct octane fuel and perform all required maintenance and periodic engine tune-ups. — The equivalent of a car engine in the human body are the mitochondria, i.e. cellular engines. And, of course, to keep the heart going non-stop, heart cells have 2,000 to 3,000 mitochondria per heart cell. So, the mitochondria health is vital to the cardiovascular health. So, below is what you need to know about mitochondrial health. Cell membranes are built from lipids (or fatty acids, aka oils). The first habit we recommend is to frequently and regularly consume oxygen-attracting oilsfor the body to use in building membranes. Cell membranes, including endothelial cells (linings of arterial walls), need Alpha-Linolenic and Linolenic Acids, aka Parent Omega Acids aka Parent Essential Oils to be in their healthiest, oxygen-attracting state. Natural sources of these oils are plants, including: Flax Seed Oil, Evening Primrose Seed Oil, Borage Seed Oil, Hemp Seed Oil, Sunflower Seed Oil and Pumpkin Seed oil. However, if these oils are cooked, their quality is damaged. Just as much as cell membranes need oxygen-attracting lipids in order to function optimally, they don’t need, or better said, are damaged by being bult from inferior, oxygen-resisting oils. So, it matters very much that we don’t consume these inferior oils which are all polyunsaturated oils that have been processed for grocery store shelves. Nitric oxide is essential for the signalling is endothelial cells that allows arteries to relax with each heart beat and allows endothelial cells to self-clean and stay free of plaque. Nitric oxide is created in the body by consuming arginine and citrulline away from lysine. High blood sugar is horrible for the cardiovascular system. It causes the buildup of cholesterol and triglycerides and microorganism. Having plenty of oxygen in a car engine is vital. It is also vital in mitochondrial engines. With cars, we keep the air filter clean and in good shape. With mitochondria, we keep the cellular and mitochondrial membranes constructed of the proper fatty acids and in good shape. Learn more about mitochondrial oxygen. The correct fuel for the mitochondria is absolutely important. 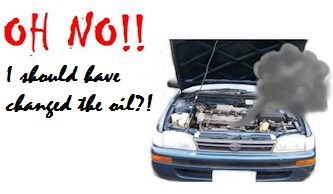 A gasoline car cannot run long on diesel or alcohol or aviation fuel, without being damaged. Similarly, the mitochondria need correct food fuel or they won’t run for long. The correct fuel is primarily fat NOT SUGAR. Additionally, there is a another fuel that the mitochondria love and that does not damage the cell. Learn more about the best mitochondrial fuel. In a human body, the equivalent of the engine’s cooling system and lubrication system are our mitochondrial antioxidants. We need to main high levels of them. Learn more about mitochondrial antioxidants. In car engines, fuel additives and other catalysts help more power to be produced in the engine. Likewise, certain mitochondrial catalysts are powerful at producing high amounts of energy with lessened outputs of free radicals. Learn more about mitochondrial energy production catalysts. Keeping our mitochondria (cell engines clean), is accomplished both through ingesting thiols (sulfur molecules that capture toxins) and other means of keeping toxins from accumulating such as sweating and through herbs/supplements that help filter or cleanse the blood. Learn more about mitochondrial cleanliness. Mitochondria maintenance/tune-ups are accomplished both monthly and semiannual tune-ups. Learn more about tuning up the mitochondria.